Your National Transport Research Centre played host to a number of international delegations in 2018. 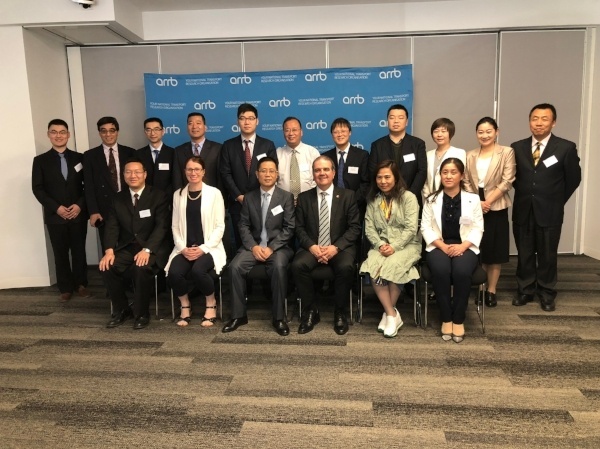 ARRB welcomed a delegation from the Ministry of Transport of the People's Republic of China, led by Mr. Lu Shangting, the Deputy Director-General, Department of Financial Audit. The delegation comprised of experts from maritime, transport and financial engineering fields. The aim of the day was to share ideas and best practices in order to advance transport technology in Australia and China, and to nurture collaboration between China and ARRB. Malaysian delegation with ARRB's Dr Richard Yeo and Richard Wix. ARRB, in conjunction with ARRB Systems, also hosted a delegation from Malaysia. The delegation consisted of 10 staff from 3 different companies responsible for maintaining road networks within Malaysia and was led by Datuk Seri Ir. Hasnur Rabian Bin Ismail. The main focus of the visit was on asset management and pavement condition monitoring equipment. The delegation were particularly interested in how ARRB uses the data from their state of the art equipment, such as the iPAVe, to help road agencies maintain road networks. The delegation also expressed a desire to work with ARRB to build their asset management expertise. Greater Jakarta’s Jabodetabek Transportation Authority with ARRB's Brittany Croft, Ronny Kutadinata and Dr Charles Karl. 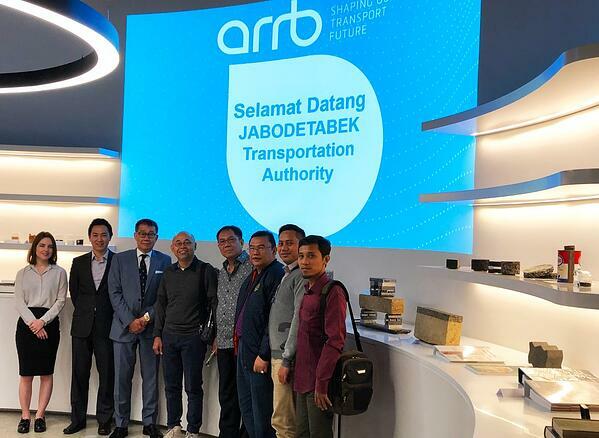 ARRB was also honoured to host Greater Jakarta’s Jabodetabek Transportation Authority at its head quarters in Port Melbourne. 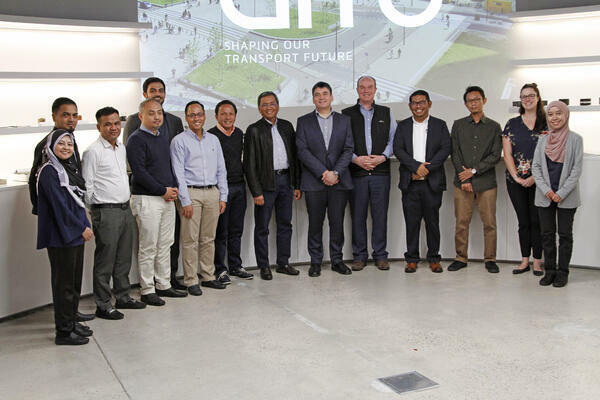 The delegation paid a visit to Dr Charles Karl, Ronny Kutadinata, Brittany Croft and the Future Transport Technology team to learn about what ARRB is doing in the Intelligent Transport Systems (ITS) space. ARRB welcomes all inquiries about its research capabilities, so consider us for your agenda on your next Australian visit. Click below to download our capabilities brochure.